It is Free and Open Source Software, released under the LGPL, available for Windows and Linux. Minetest is developed by Perttu "celeron55" Ahola and a number of contributors. 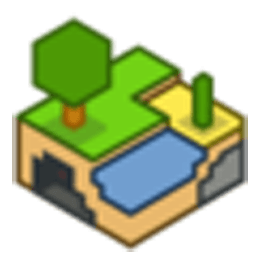 Walk around, dig and build in an infinite voxel world (or boxel, as reddit calls it), and craft stuff from raw materials to help you along the way. We hope to add in some survival elements, but not much really exist ATM. Sinfully easy server-side modding API . Extract the zip package somewhere. Run the executable found in the bin/ folder. Note: Android version is in its early stages, so you can expect bugs. As a major release, 5.0.0 will break some mods written for 0.4.x versions. We tried to keep the breakages as small as possible whilst fixing long standing issues. modpack.txt has been deprecated. Fix: rename to or add modpack.conf. nodeupdate() was removed. Fix: replace with minetest.check_for_falling. Infiniminer is an open source multi-player block-based sandbox building and digging game, in which the player is a miner searching for minerals by carving tunnels through procedurally generated voxel-based maps and building structures.